I have heard a lot that coming trend will be totally matte, everything from eye makeup to lip color will be liked in matte finish so after customers request to launch a completely matte eyeshadow palette, Sleek Makeup brought not only one but two entirely matte eye shadow palettes that are going to sell like hot cakes in the market because makeup lovers are getting all matte colors in the two new iDivine eyeshadow palettes, Ultra Mattes V1 Brights and V2 Darks. 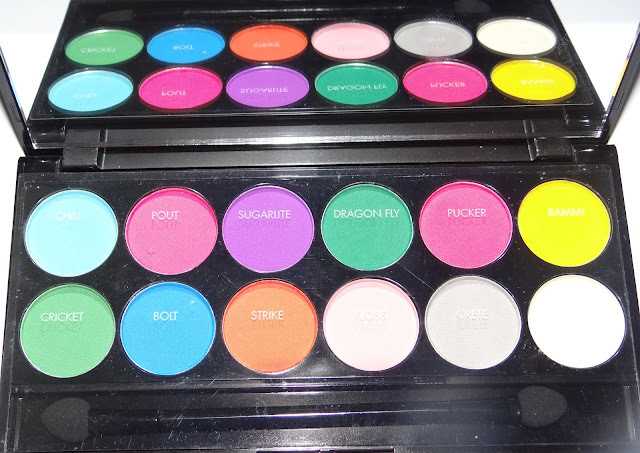 Both palettes consist of 12 fully pigmented matte shades,no shimmers here, completely matte, hey feeling excited? Don't worry, I'm going to write about the same. Sleek Makeup has given a very pleasant surprise by launching two matte eyeshadow palettes.The two palettes consist of a Dark Palette, full of dark neutrals, and a Brights Palette, which is, of course, full of Brights. The one I have is the Ultra Matte Bright Palette. Ultra Mattes are intensely creamy, highly pigmented colours that are super-blendable. These mineral-based eyeshadows are so smooth in texture they are ideal for contouring eyes and creating multi-dimensional looks. 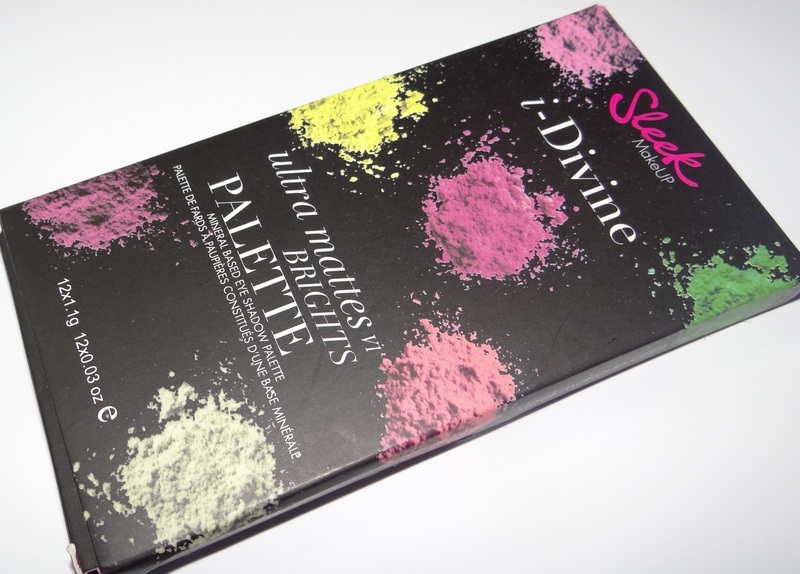 After publishing the press information about Sleek Makeup i-Divine Ultra Mattes palettes I got countless mails from my readers from all over the world who are extremely excited to know this and they eagerly wanted review of these palettes. I don’t remember how many mails I received, I have hardly ever seen such excitement about any brand’s products among the makeup lovers. In India this brand is so popular that most of Indian ladies don’t care about the shipping price of Sleek Makeup’s products that makes them even more costly than some big brands that are currently available in India. I have to realized the fact that Sleek Makeup has achieved this strong place all over the world due to its high quality of products and the passion of giving some new trends to the makeup lovers to keep their preference in mind. 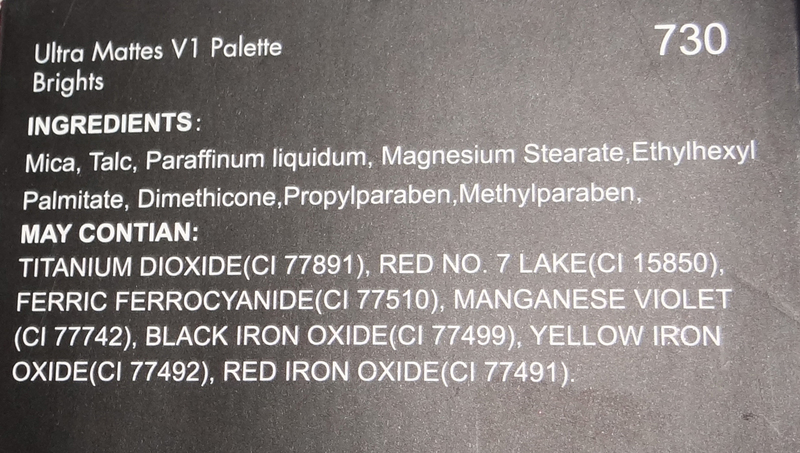 There are 12 completley matte shades in the V1 Brights palette. All shades are beautiful but very similar to Sleek Makeup Caribbean palette, just a few differences are between the two. Chill is a very nice aqua shade, it’s so cool shade for summer. It’s creamy in texture and quite nicely pigmented. Pout is a hot pink matte shade. This shade is almost neon-looking, creamy soft and pigmented too. Sugarlite is a medium purple shade. This is one of the shades that has disappointed me. It’s not pigmented at all although I love purple so I used it with primer & it was then that it showed up. Cricket is a bright, grassy green and it’s amazingly pigmented. Very creamy in texture and blends beautifully on the lids. It’s one of the jewels of shades. Bolt is a bright cobalt blue. The other jewel among the shades highly pigmented with soft creamy texture and not falls out at all. Strike is a bright straight up orange. Love this shade, can be used as a blush too. The pigmentation is not bad but average. A bit hard in texture but still creamy. Dragonfly is a bright basic green, soft texture and average pigmentation. Pucker is another hot pink shade. Both shades are very similar to each other and I don’t know why two same type shade are kept in the same palette. In the pan though, Pucker looks more pink and less red than Pout, but actually both are almost same. In the Caribbean palette, one shade was red on the place of two pinks. Bamm is a bright canary yellow. Not strong pigmentation in it , but it's still an exciting shade. Floss is a light neutral pastel pink, and is one of the three neutral shades in the palette. It's very creamy in texture but a little less pigmented than some of the really bright shades. Crete is a very light, whitened concrete grey. Another lovely neutral shade, it’s pigmented and very creamy textured. Caribbean palette had a black shade(NOIR) instead of this grey. Pow is a white that's medium in pigmentation but very creamy texture. In terms of texture, these are much like the other matte shades in other Sleek palettes, some are very soft and creamy in texture and some are a bit hard but still creamy and blendable. I found the pigmentation to be generally very good, as per Sleek Makeup's general quality. There are only a couple of shades which are a little lacking in pigmentation. I can say that they are superb in applying. The shades that are less pigmented also come up well with primer. Most of shades have creamy texture and blend well. I noticed very less fall out & that's amazing. It's very lovely palette for the summers, though generally I don't like much bright shades but no doubt, they all give a beautiful effect to your eyes. Like other Sleek Makeup eye shadow palettes, almost all shades have strong staying power. You need a good primer for less pigmented shades but much pigmented shades can stay long even without primer or base. The ladies who like bright & pastel matte shades will enjoy Sleek MakeUp's Ultra Matte i-Divine Palette V1 Brights. The packaging is sleek but sturdy with a great sized mirror inside. The shade selection is superb; most of bright shades are available in it. Overall the shades are really pigmented, some are amazingly pigmented. They are not chalky; the texture is soft and creamy. .The formula is soft and easy to work with, with very little fall out. No need to say about price which is incredible. A few shades like Sugarlite disappointed me with it's pigmentation so for such a shade you require a good primer. Overall it's a very beautifull palette especially for those who don't already have similar shade palette, if you have Sleek Makeup Curacao palette then no need to get this because both palettes are almost same. But bright matte shades lovers consider it as a gift from Sleek Makeup. 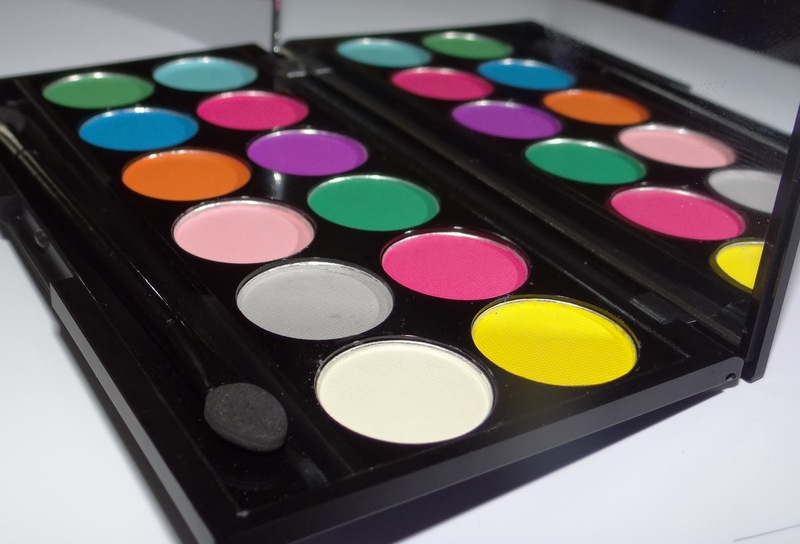 Most shades are pigmented and have creamy soft texture. They blend very well and have strong lasting power. No fall out at all which is very satisfactory because it's so frustrating to see the colors falling out on my face during application. No need to say much about the cost so I'm very happy with the palette and would love to purchase the V2 Dark i-divine too. I'll surely recommend it to my readers who love brightness and happiness on their face. 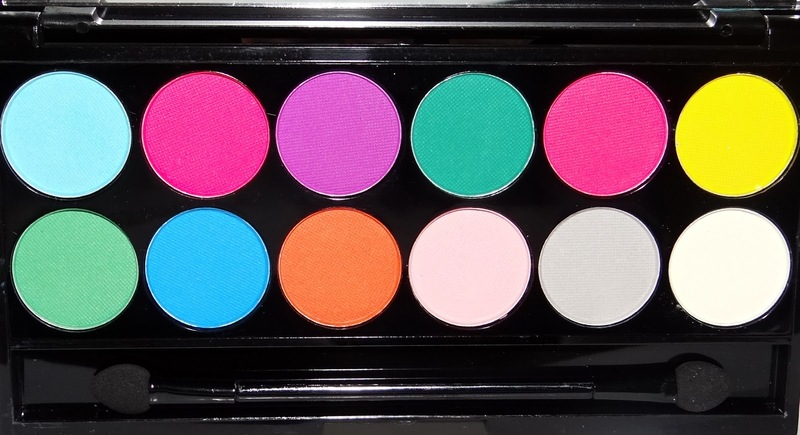 This palette can be found at all Super-drug outlets across UK. Available also on Sleek Makeup’s website as well. 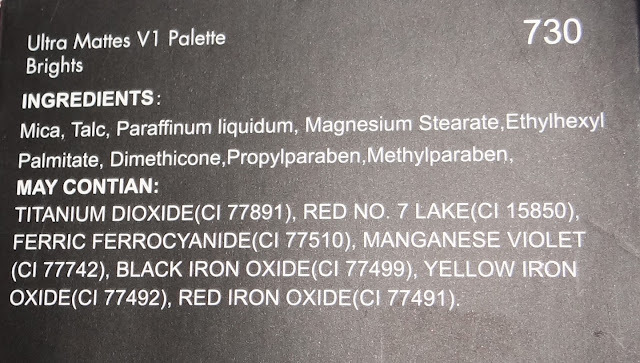 This palette cannot be shipped to US as per some rules.